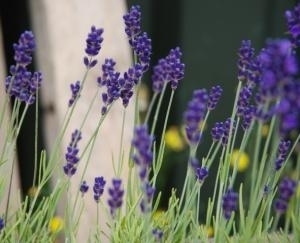 True English Lavender, growing into a compact, hardy, evergreen shrub with silver-blue foliage and mauve flowers. Plant it by doors and pathways, where it's delightful scent can be fully appreciated. Well known as a dried ingredient for potpourri and sachets; less well known is the centuries of use as a culinary herb and it is now enjoying a well deserved revival for kitchen use. Our seeds come with two recipes for you to enjoy. Price for 50 seeds.